Bedtime Stories are little snippets of sleepy wisdom, written to inspire and empower those who have difficulty sleeping. Sometimes loving, sometimes harsh, always truthful. Now, even the most desperate of insomniacs can feel less alone. Virginia Robichaux has been a dream interpreter and spiritual teacher for ten years. 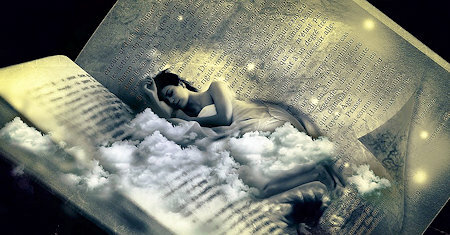 Her book provides a list of dream types along with a dream dictionary of the most common dream archetypes. This book will guide you to definitive answers. The subject of the significance of dreams, so long ignored, has suddenly become a matter of study and of controversy the world over. The cause of this revival of interest is the new point of view brought forward by Professor Bergson in this book. Gustavus Hindman Miller's groundbreaking masterwork, published nearly a century ago, remains the most compelling and thorough study of all the symbols that appear in our dreamscape. Updated, beautifully designed, and wonderfully easy to follow. Interested in learning what your dreams reveal about you, your desires, and your secrets? Freud was one of the first of his day to psychoanalyze dreams, and many, both novices and experts alike, are still practicing and using his methods today. This book will help you gain the practical knowledge necessary to master the phase state of the mind (phase), also known as 'out-of-body experience' (OOBE), 'astral projection', and 'lucid dreaming' from a pragmatic and applied approach. You will learn what dreaming is from the biological point of view, then how to improve your dream recall so that you remember your dreams. The book will explain how to become lucid during dreams, and how to keep yourself in the dream.